"British ex-soldier be prosecuted for murder in 1972,"
"A british former soldier will be prosecuted for the murder of a teenager in northern Ireland during a militärinsats for soon 50 years ago, according to the northern ireland office of the prosecutor." "The 15-year-old boy was killed by a british soldier with two shots to the head in an effort to secure areas in Derry on 31 July 1972. The former military, as in the documents under the name of "
"I have come to the conclusion that the evidence which can be presented before the court is sufficient to provide a reasonable opportunity for a judgment," says chief prosecutor, Stephen Herron." 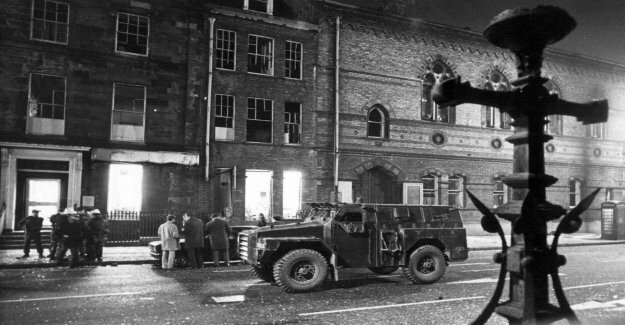 "In march, clarified the prosecutor's office to a british ex-soldier to be prosecuted, suspected of two murders and four attempted murder in Derry on 30 January 1972. Then shot fallskärmssoldater to death 13 unarmed protesters during the so-called "